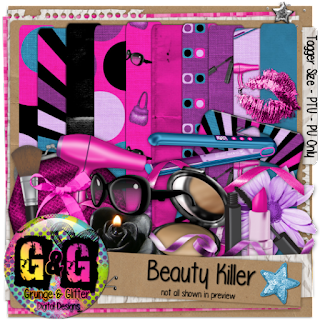 Beauty Killer PTU tagger sized kit was inspired by Jeffree Star Cosmetics' "Beauty Killer" eyeshadow palette. It contains 37 elements and 13 papers. PU only! This chrome alpha is pretty cute in my opinion and can be used for many different things! It is CU & CU4CU Ok! Includes letters A-Z in both upper and lower case. Just wanted to share with you all the newest blinkies I have made for some customers and fellow designers! If you are interested in some new blinkies or banners, please click the "Blinkies & Banners" link above to order! I am looking for active, motivated, and creative taggers and tutorial writers to join my personal Creative Team! 1. You must have an established tutorial blog/website. 2. Taggers and Tutorial writers only, NO DESIGNERS PLEASE! At this time I am only accepting individuals who do NOT make and sell any scraps. Thanks for understanding. 3. You must advertise your tutorials that you make with my designs, give me credit, and link back to my blog and my store. 4. You must be active and make at least 1 tutorial for every kit that I send you. If you make more than one that would be awesome! 5. I would really like to see some creativity and not just a bunch of copy and paste stuff. I'm not gonna tell you how to do what you do, but I would like to see unique designs that showcase what kind of things can be done with my designs! 6. You CAN NOT and WILL NOT share any thing you receive from me for free in any way, shape, or form. You must link to where the product can be purchased. 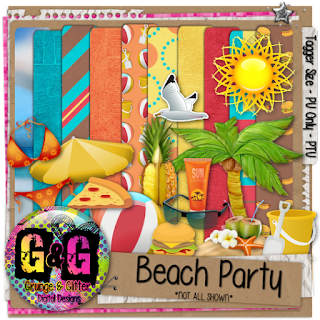 You will get ALL my tagger sized scrap kit for free for as long as you are a member of my Creative Team plus other special bonuses and prizes I will offer from time to time for my creative team members. I will also advertise your tutorials on my blog. The purpose of this is for us to help each other! You get free products for your hobby, and you help me advertise my designs! It's a Win-Win! 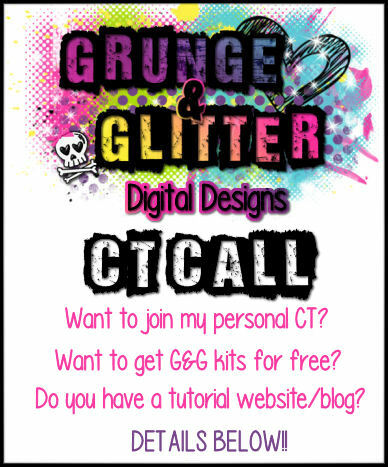 Email me at alderman.brandi@gmail.com with a link to your tutorials with the subject line: CT Call! *NEW* Commercial Use Items in store now! I have 2 brand new commercial use items in store now! 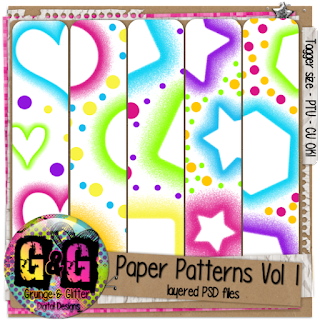 Paper Patterns Vol 1 includes 5 different 850 X 850 patterns in layered PSD format for easy customization. Click the image below to go directly to my store. 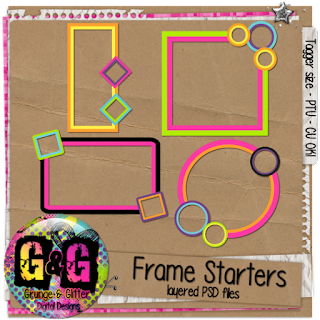 Frame Starters includes 4 layered PSD files for easy customization. Use these templates to create fun, unique, and creative frames for your kit and tagger sized projects! Click the image below to go directly to my store. Who can't wait for summer and some fun in the sun?? Beach Party is perfect for your summer fun themed tags and projects! This kit is PTU and is available now at Mystical Scraps HERE and it's 30% off through June 1st! You can find my digital scrapkits, commercial use items, and designer resources for taggers exclusively at Mystical Scraps!